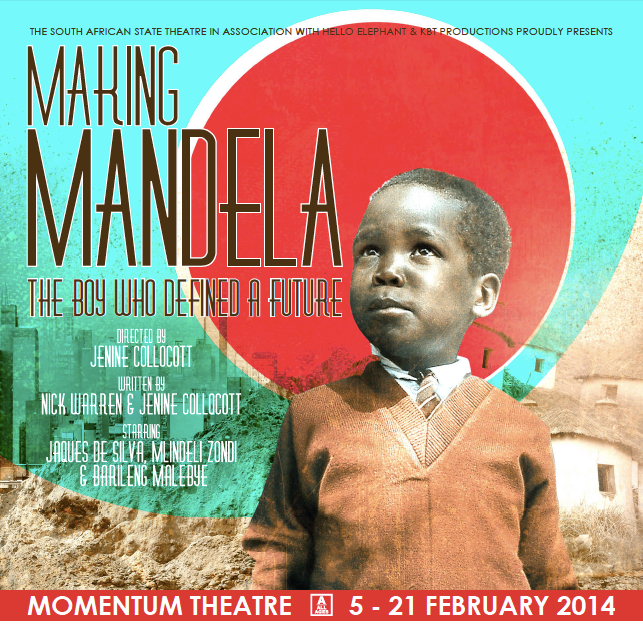 Five and a half years later... Making Mandela opened at the State Theatre. Back in 2009 I applied for funding from the National Arts Council and was successful for a script writing grant. First I freaked out. Then I then spent a full year researching the life of Nelson Mandela. I realised pretty soon that I was mostly - if not solely - interested in his childhood. The idea of what makes us, moulds us, shapes us... into the adults we become. What makes a boy... A president. During this research phase I visited the Apartheid museum and discovered the most amazing clash of history... Nelson Mandela was born in the same year that the Afrikaaner Broederbond formed and had their first meeting. Every state President and Prime Minister during the some 46 years of Apartheid was a member of the Afrikaaner Broederbond. Mandela and Apartheid were born in the same year. Can you believe it. I couldn't. So it is this that forms the narrative basis of how we tell our story. Drawing similarities between these two forces who would one day grow up to face each other in the ultimate battle for the freedom of South Africa. Us on a billboard. 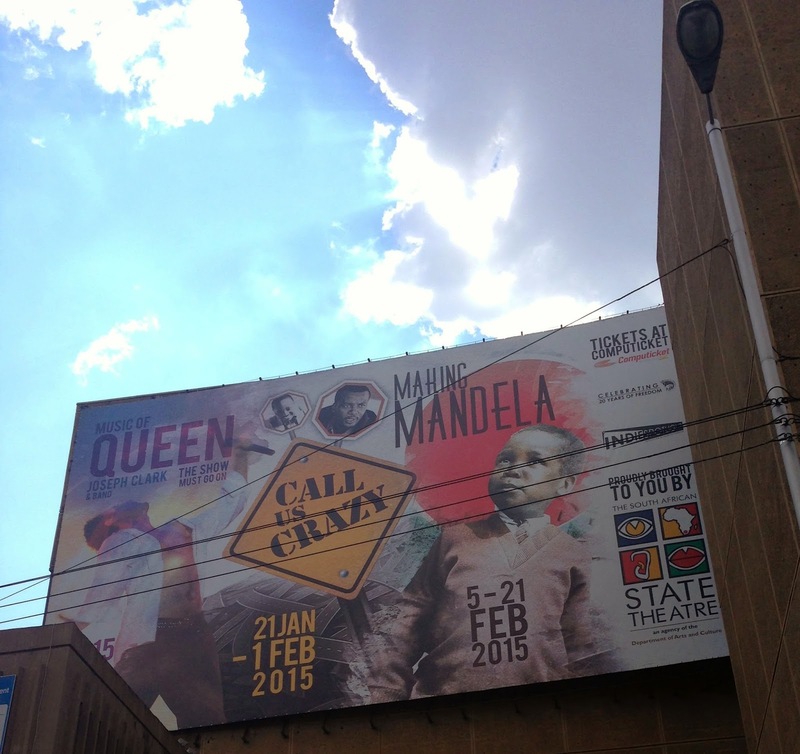 The State Theatre's designer Sanmari Marais is fantastic! After about two years of research, then scriptwriting, Nick Warren (my co-writer) and I ended up with 95 page script totalling approximately four hours of stage time. Nice. Lights up and welcome to our epic history lesson. After a public reading of this mammoth script at an NAC script writing initiative at the Grahamstown festival in 2010... I freaked out once again. Then I went to Italy to study theatre. Properly. Under the guidance of brilliant pedagogues Giovanni Fusetti and Matteo Destro. 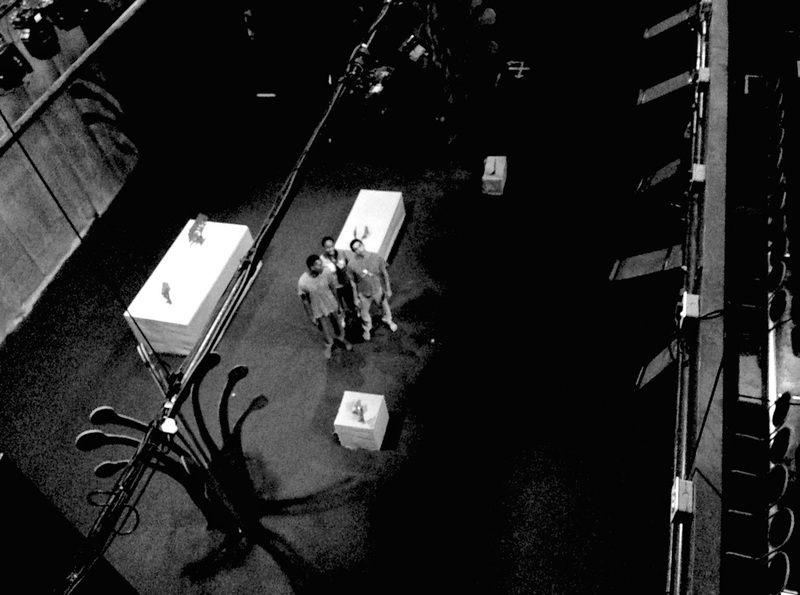 Meanwhile in the background Nick and I worked and reworked the script... tearing ourselves free from the hold of history. Which is hard. Nick was much better at it than me - I had done the research so to me everything was important. Nick came to visit me in Florence (where I was studying), by this time we had been away from the work for like a year or so, and we decided to write down all the scenes we remembered. This was how we started the major edit that took us from 95 to 40 pages when we started rehearsals late last year. So here's our storyline. The overarching structure. The lines of commonality between Nelson Mandela and The Broederbond. ...I'm not giving anything away. This is history after all. And between these five points of vertical structure is of course the horizontal story. They are both enter the world... Mandela is 'baptised' by what is called a passage through smoke... The Broederbond has their inaugural meeting and sanction their purpose. They both grow up... Mandela is initiated into manhood... The Broederbond begin to reorganise themselves on a Nazi system. The both enter education... Mandela crosses the Bashee river for the first time to attend Senior Primary School... The Broederbond is accused of taking dangerous hold on education. They both enter financial world... Mandela is given his first pound note... The Broederbond launch a number of major financial institutes. They start to become who they are destined to be... Mandela joins the bus strike making his first public political action. The Broederbond release a number of statements which are the building block to the Apartheid laws. In the end our story ends when then story we all know begins. As mentioned in 2009, I received funding from the National Arts Council to write this script. I then employed Nick Warren and we researched and wrote the script together. I was invited to the NAC writing initiative ‘So you think you can write’ where the script was read publically in 2010. In 2013 (after furthering my studies) I applied and was successful for a percentage of the total production budget. In 2014 I joined forces with KBT Productions to fully produce this piece. In 2015 the State Theatre accepted our application to be part of their Indie Spotlight Programme and come on board as part of the Original Production team. I received a letter from the Nelson Mandela Foundation confirming their support of the production where they stated that any artist is within their right to do an interpretation of Mr. Mandela’s life, and to ensure that I give a research bibliography. With all the writing and rewriting and rewriting... we went through so very many versions of the work with varying numbers of cast members. In the end, and budget dictating, we ended up with a cast of three performers. Jaques de Silva, who I have worked with previously and who is a very capable physical performer. Mlindeli Zondi, who I taught briefly at the Market Lab and who has a charm and charisma that is beautiful to watch. Barileng Malebye, who I found via Thami Mbongo and then auditioned and who is totally brilliant. All three are wonderful, hardworking, super talented performers. And the show is tough on them. But more on that in another post. We were most fortunate to have the first two weeks of our three week run at the State Theatre sold out to Tshwane University... thanks to the Theatre's fantastic production team. Each show was followed by a Q&A and we were able to receive feedback, answer questions, clarify moments and then rework the show. The first show ran at 90 minutes... by week two we were running at 70 minutes. Diane De Beer came to watch it and gave me such brilliant feedback. She sat with me for an hour asking me what I intended and then telling me what she got out of it. This critical meeting allowed me to make a few brutal cuts which previously I was only thinking about. I am very grateful to her for affording me that time. 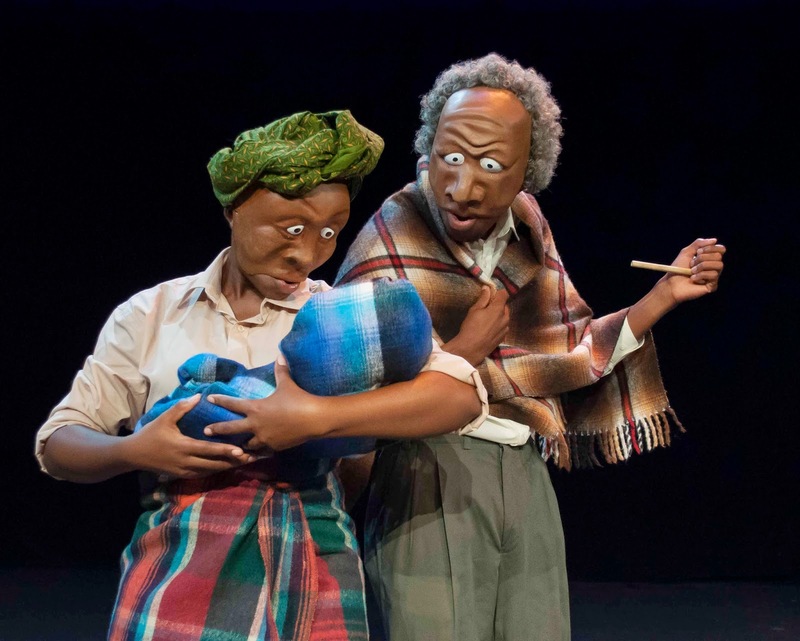 In 2014 I applied to be part of a programme 'Inspiring a Generation' through Assitej South Africa and Assitej Denmark that facilitated an exchange programme taking four South African theatre makers to Denmark to experience their 'All Ages' theatre. This production is part of that programme... as what I saw and experienced there has influenced me greatly. Both tangibly in the work but also intangibly in how I think about theatre. 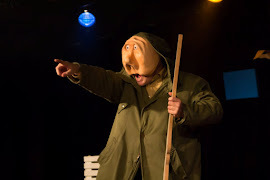 One thing, for example, is allowing the audience onto the stage at the end of the show - while the actors are still all sweaty and in their costume - for the audience to interact with them and the work. It is such a fantastic, if unusual, thing. 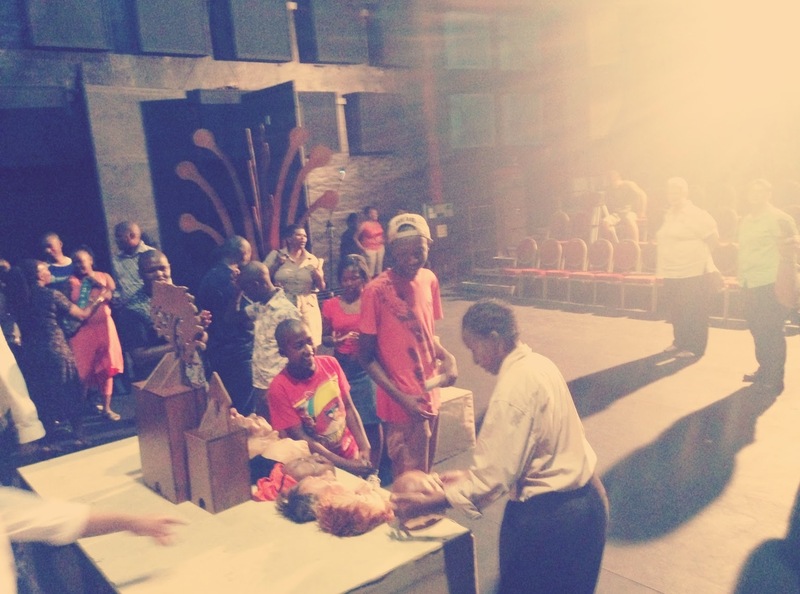 Barileng in dialogue with the audience after our last show. Gosh. This play has taken a long time. The next post will talk to the style. Overall the response has been good. Sometimes people (often older) get a little confused with all the character changes. But luckily they are very few and far between. We can't cast more people. Doh. We had an amazing experience towards the end of our run when the Minister of Telecommunications Dr Cwele came along to see the show and afterwards met with us and told that they were expecting to see another political piece '...and then this happened.' He said we showed him a side of Mandela he didn't know. That was cool. He ended by saying 'all young people should see this.' We agree. All of us with Aubrey from the State Theatre and the Minister and his wife.